Rachel Bolton and Dr Ivo Tews were amongst the first to use the new Diamond Light Source beam. A team of leading Biological Sciences researchers from the University of Southampton have become the first ever to use a new Diamond Light Source beam as part of their research into cyanobacteria (or blue-green algae) - the only known photosynthetic bacteria to produce oxygen. Diamond Light Source, near Oxford, opened its 32nd beamline to the Southampton group led by Dr Ivo Tews, marking the completion of phase III funding. The Tews group was selected to carry out the first experiments. Dr Tews was part of the original proposal team that consisted of 15 academics from 13 institutions. After seven years from initial application to this stage, the Versatile Macromolecular Crystallography micro/nanofocus beamline VMXm is now ready for use, completing the portfolio of seven beamlines dedicated to macromolecular crystallography. Dr Tews, Lecturer in Structural Biology and Principal Investigator (Protein interactions & cell membranes), and joint Southampton/Diamond PhD student, Rachel Bolton, have been using the state-of-the-art beamline to investigate proteins involved in nutrient uptake of photosynthetic or cyanobacteria. Their project is embedded with work at the National Oceanography Centre at Southampton by Professor Mike Zubkov and Professor Tom Bibby to understand the efficiency of the bacterial metabolism and of nutrient uptake. They would like to understand how these phytoplankton thrive under scarce nutrient conditions. Dr Tews’ team used VMXm to investigate proteins involved in the scavenging of iron from the environment. The team had previously taken Prochlorococcus samples from deep in the ocean, from depths of over 5,000m below the surface, and acquired samples from particularly nutrient-poor regions of the world’s oceans in order to study microorganism adaptation. Prochlorococcus can produce four gigatons of fixed carbon per annum, which is comparable to the net primary production of the world’s agriculture industry, and constitutes a substantial biomass on Earth. VXMm’s first invited project is therefore of immense global significance, with implications for biotechnology and biofuels production. The research carried out on VMXm is focussed on iron homeostasis, ultimately leading to a better understanding of why these organisms are so good at surviving in resource-poor areas. VMXm is managed and operated by a dedicated team of scientists at Diamond, including Principal Beamline Scientist Dr Gwyndaf Evans, senior beamline scientist Dr Jose Trincao and senior support scientist Dr Anna Warren. The VMXm facility is truly unique. It is a specialist tuneable micro/nanofocus macromolecular crystallography (MX) beamline, with an X-ray beam size of less than 0.5 microns, which will allow even the tiniest of samples to be analysed. Integrated into the in vacuum sample environment is a scanning electron microscope, making VMXm a hybrid X-ray/cryoEM instrument for detecting and measuring data from nanocrystals. VMXm is aimed at research applications where the production of significant quantities of protein and crystals is difficult. Click here to read the team’s recently published research on iron homeostasis in the Journal of Biological Chemistry. Diamond Light Source is dedicated to delivering world-class facilities to enable frontier-science. Click here to learn more. 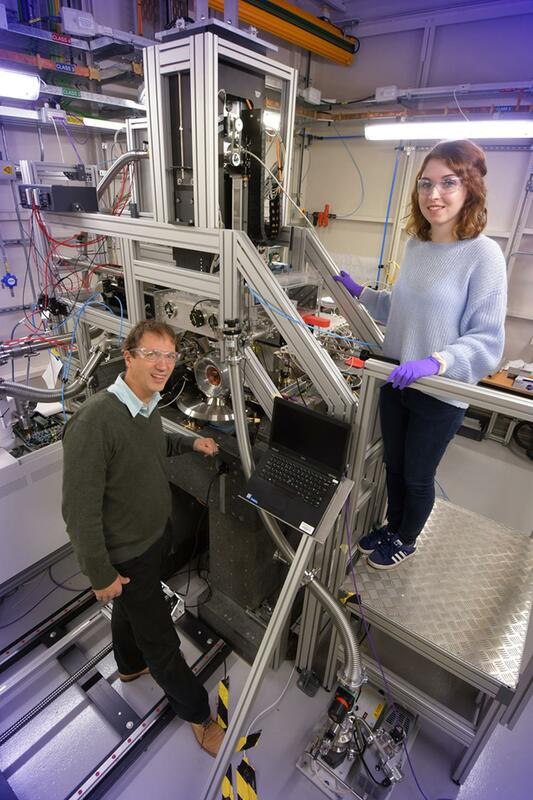 Dr Ivo Tews, Lecturer in Structural Biology and Principal Investigator (Protein interactions & cell membranes), and joint Southampton/Diamond PhD student, Rachel Bolton, have used the state-of-the-art beamline to investigate proteins involved in nutrient uptake of photosynthetic or cyanobacteria. 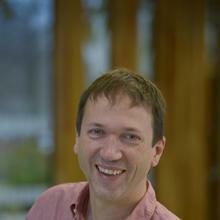 Dr Ivo Tews is Lecturer in Structural Biology within Biological Sciences at the University of Southampton.